I agree, when GDs are used to eliminate people before interviews, many candidates who might be knowledgeable but didn't get an opportunity to speak might be deprived of a valuable opportunity. It can also be that if the topics are chosen at random and have nothing to do with the job the candidates are preparing themselves for, they might not perform well even if they have been preparing for the occasion. However despite all the flaws of the GD processes, they are appropriate while filtering out candidates for management positions. As a manager an individual cannot perform his task all by himself, he has to delegate and get things done from colleagues and subordinates. GDs test how well a candidate can work with a group, and whether he can communicate well in a group. 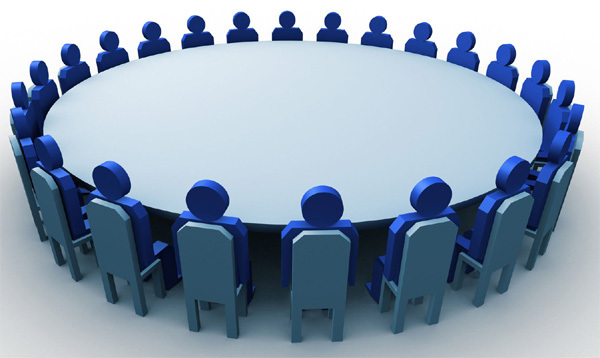 Group discussion is a platform where an individual is tested on different parameters. But this can not be the only stage to test an individual as you can test his group communication skill, his listening ability and his leadership skills. You can test his level of knowledge on the given topic but to judge his overall knowledge group discussion can not be the right stage. In short I will say to some extent this is a parameter on the basis of which you can test an individual. Yes, in group discussion we can easily test a person and we can understand what he is. Group discussion is very useful to know the person communication skills and behavioral skills and leadership skills and we can come to know how he/ she can co-ordinate with others. I know that if a company want to filter more and more people for job role , group discussion is the best way to filter more people. By this we can estimate the person capabilities also. And group discussion is not only to test skills and it is also test our attitude also. In group discussion we can come to know the subject knowledge on different subjects. Well, I completely disagree with this statement that group discussion is the only parameter to judge someone's skills. Through group discussion you can only test the communication skills. Moreover, if we notice group discussions take place in english language. And most of the people are not comfortable with this language and they speak in Hindi or their regional language. Which then becomes a disadvantage. Through group discussion you can only test their verbal communication skills and moreover their knowledge on the basis of points they put forth. You cannot judge their hard work, you cannot judge their skills of being organised, you cannot judge their skills of how they manage their work. If someone requires a person of good communication skills, then he may carry a group discussion to judge his communication skills. Now-a-days, Many companies and colleges are opting Group Discussion as the effective way to evaluate the abilities and skills of the candidate. In a group discussion, the candidates are given with a topic or a scenario. They can think about the topic for a given time and then discussing about the same for a specific duration. This is the era of knowledge and as well presentation and considering this point, group discussion makes its significance. Today we want leaders who can motivate and guide others. When you are going in outside world to do a job, your technical knowledge matters but moreover it's important how to express and assimilate this knowledge and that is the main reason why it's so necessary. It gives you the confidence to put your views & also improves your logical and analytic power. Today, group discussion is playing a very crucial role in screening the candidates for face to face interview. It lets the evaluator choose the socially right candidate for the job. Hence, students and professionals who are seeking for a new job need to be prepared for this important phase of selection process. I agree that GD says about candidate of their. Which are require for growth of any company. But mainly GD is held in English and there are many people who feel uncomfortable while giving their views in English other than Mother Tongue. According to me, GD should be added after Personal Interview (if necessary) because a technical student must not have fully communication skill to convince others (which is required for Management, marketing) , they just have a communication skill up-to how much is required. A very talented student having a huge knowledge in technology may not be selected falling the above process of campus due to his/her poor communication skill. The non- English medium student face this problem a lot. In spite of having knowledge in technology they can not utilize their knowledge in company. Now this problem arises due to the fact that we are mixing Management & Technical.In my point of view, the right place for GD in the recruitment process is after the technical round.